This week we’re starting to look at the materials, techniques and processes of art and we’ll begin with walls. 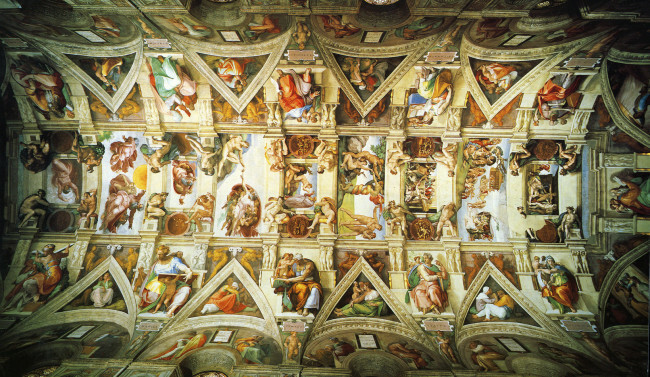 Early artists painted on walls in the form of frescoes which were popular in Italian chapels and churches. 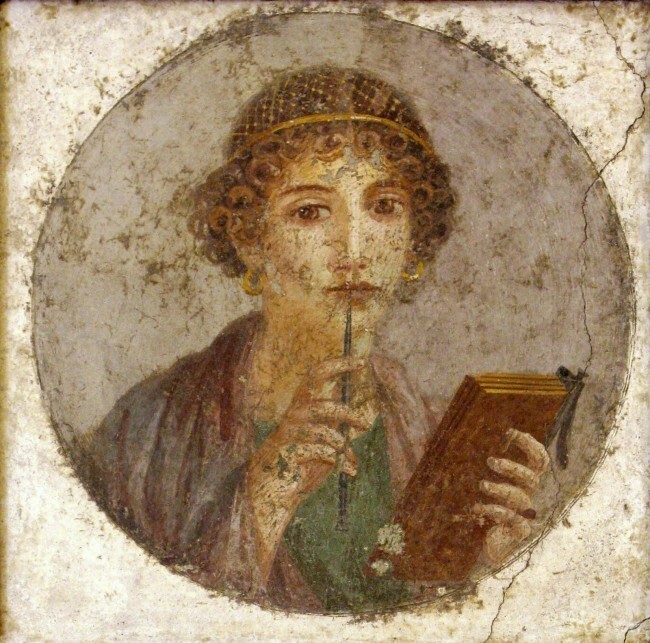 Fresco painting has been around for thousands of years. 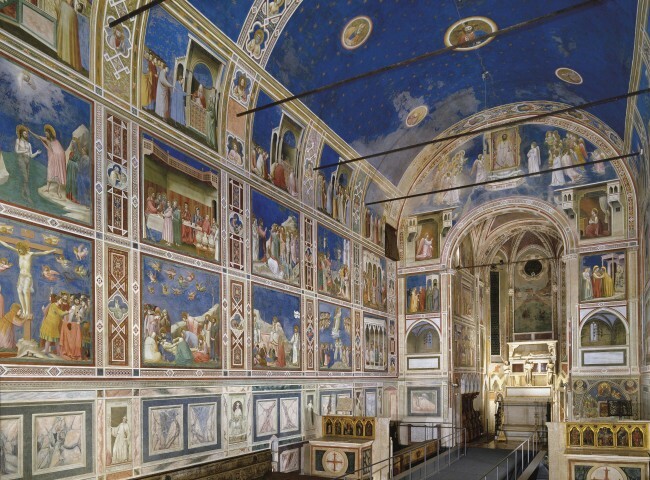 Our examples are from the Scrovegni Chapel in Padua. 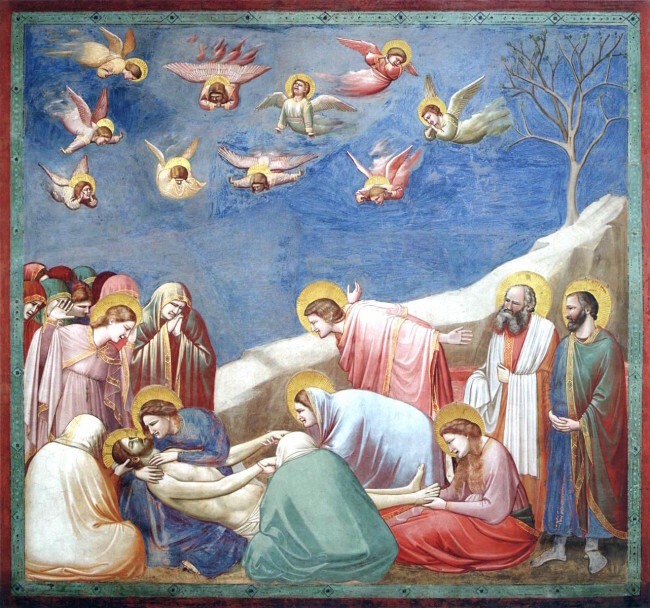 Painted by the Italian Giotto, the frescoes depict scenes from the lives of the Virgin and Christ and were completed c. 1305. 1) apply a layer of rough plaster to the wall: this smoothes the surface and builds a moisture barrier between the wall and final painting. 2) snap strings rolled in charcoal across the dried plaster to create a grid to aid composition. 3) outline the composition on the plaster with a charcoal-dipped stick (after 1450 artists used large drawings done on paper in studio). Trace over the charcoal outline with sinopia (red oxide pigment). 4) apply successive patches of fine plaster over the rough plaster THEN paint (powdered pigment and water) is applied directly onto the wet plaster before it dries. The patches are sometimes called “giornate” (tasks done daily) referring to the amount of plaster the artist could tackle in a day. 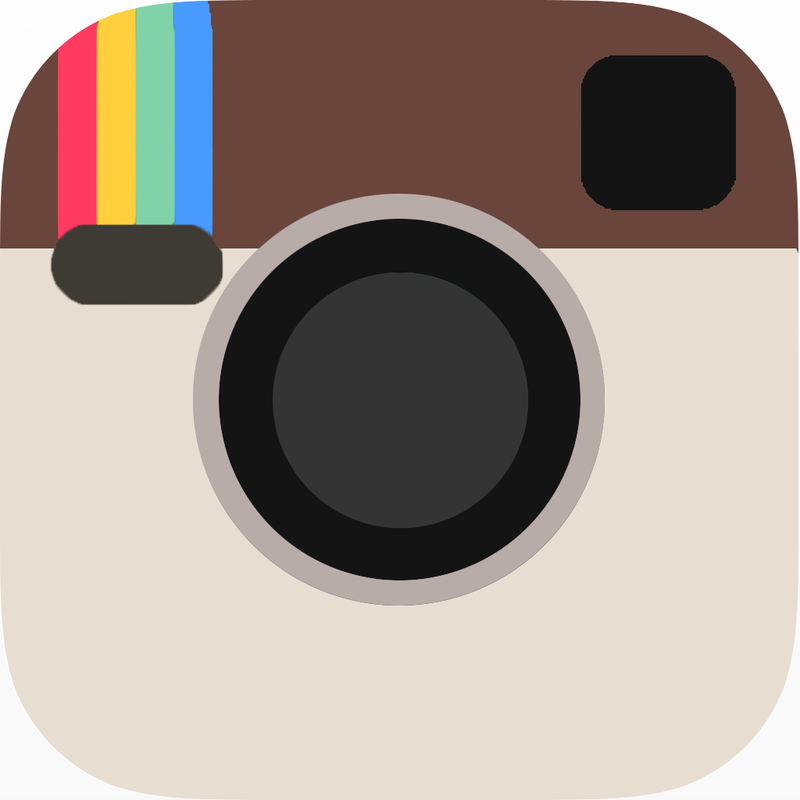 Fresco is a durable medium due to the chemical bond between plaster and paint. 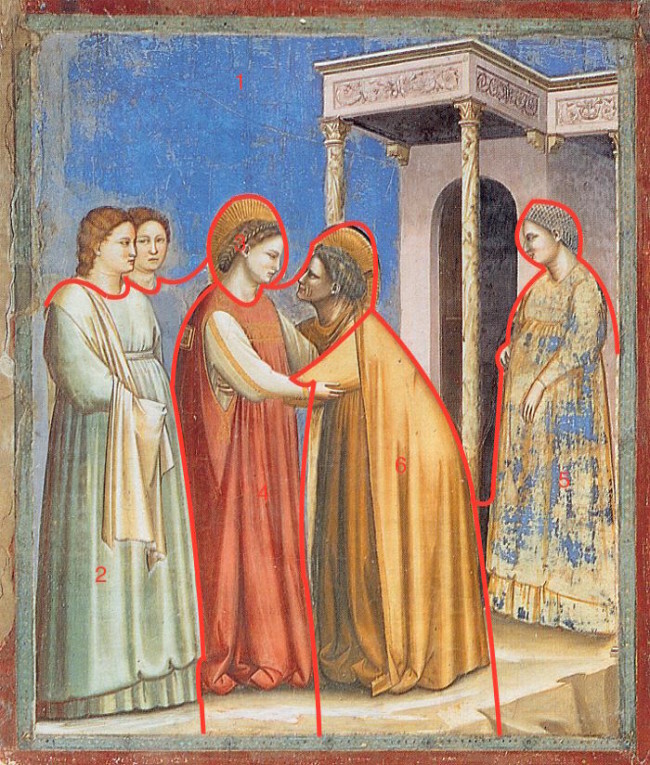 Any touches of colour or detail added on top of dried paint are less long-lasting (see the robe of the figure to the right where the blue has fallen off, revealing the sinopia drawing underneath). This scene shows us how a fresco is built up. In the Visitation the Virgin and Elizabeth embrace. Both are pregnant (Elizabeth with John the Baptist). 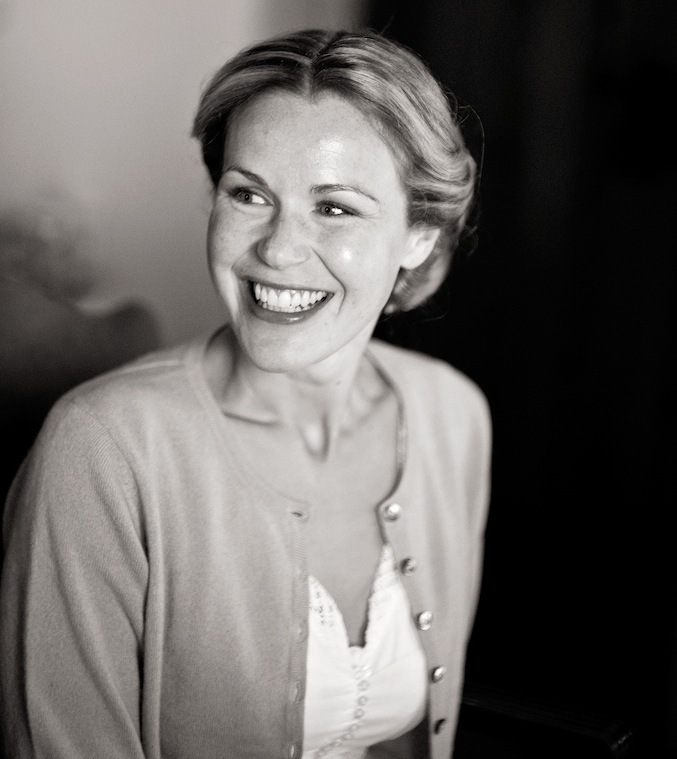 Elizabeth was old when the miraculous birth of a son was announced to her husband by the angel Gabriel. Raking light reveals a system of 6 painting patches. Patch 1 is large (sky, architecture and non-important heads can be done quite quickly) whereas patch 2 is smaller (robes are more complicated and time-consuming). The smallest patch (3) is for the head of the Virgin which had to be painted with attention and care. Although difficult and demanding, fresco was a cheap form of decoration for large areas of wall because it used simple, inexpensive materials. 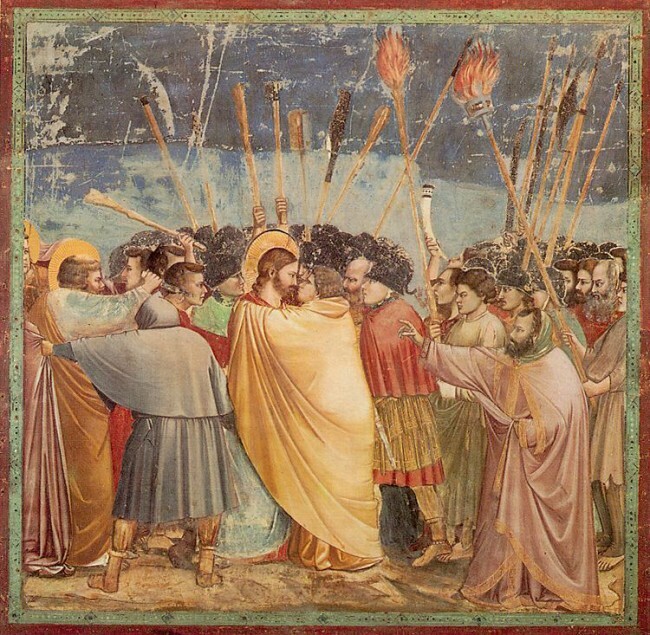 Because the technique is proscriptive and restrictive it comes to characterise the way fresco paintings look. Imagine the scene: painter and apprentices surrounded by buckets of water and pots of pigments all stood on scaffolds applying paint to the rapidly drying surface. 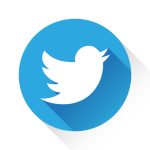 You do not want to spend the weekend chipping off areas of hardened plaster where you went wrong so planning is key. 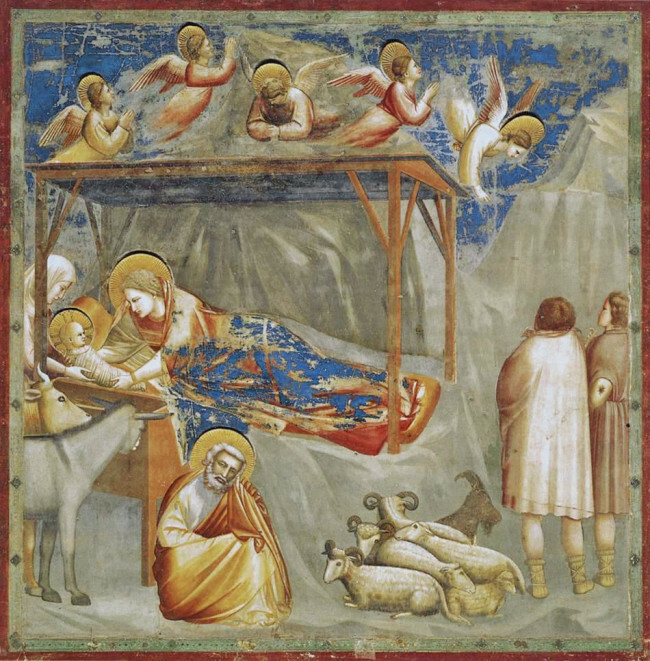 Giotto’s compositions are super clear and simple. This will have helped the patch approach (painting a piece of the “puzzle” each day). The clarity of the compositions also makes the scenes legible and impactful. 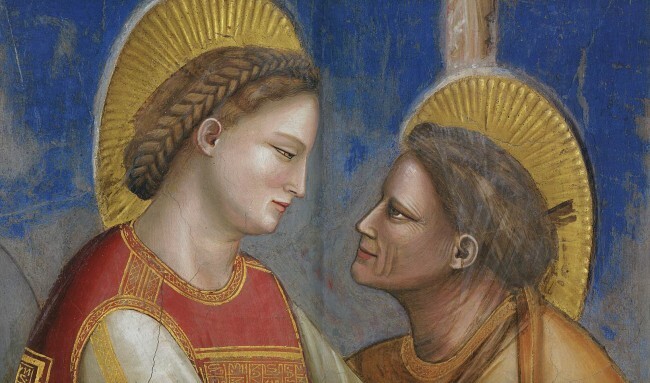 The range of pigments available to the fresco artist (they were all naturally derived) creates quite muted tones. Detail is sparing (you can’t get much detail painting wet on wet). What little there is was added at a later painting stage. 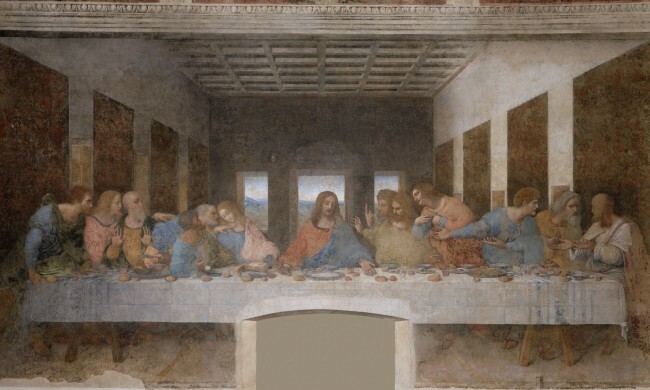 When painting The Last Supper in the refectory of the Dominican monastery of S. maria delle Grazie the High Renaissance artist Leonardo da Vinci was dissatisfied with the restrictions of fresco technique. He wanted to work more slowly and subtly as with oil painting so he used a paint – the exact formula is unknown – on dry plaster. This proved disastrous: the paint started to decay even in his own lifetime. 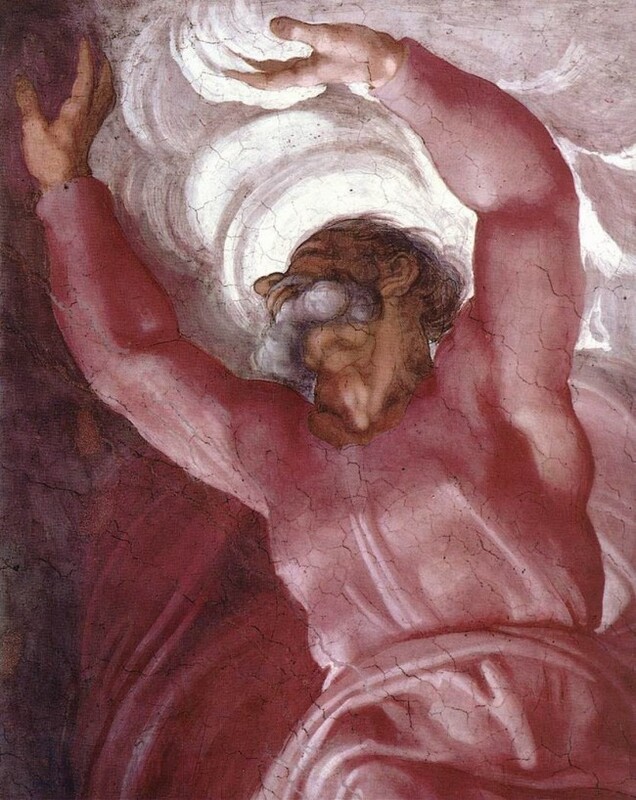 So if we thought Michelangelo was good before – with what we now know about how he had to paint that ceiling – he’s looking positively God-like now.